No dia 29 de novembro de 1781, Luke Collingwood, capitão do navio negreiro Zong, ordenou que 133 escravizados cativos em seu navio fossem atirados ao mar devido a uma possível escassez de água potável para a viagem em curso. O trabalho “November 29, 1781” busca rememorar e refletir a vida e morte não só dos escravizados na viagem do navio Zong com destino à Jamaica, mas em todo o processo que significou a exploração escravagista entre os séculos XVI e XIX e que foi o principal motor de desenvolvimento do continente europeu. Performance resultante de uma pesquisa realizada durante um período de um mês na cidade de Londres, como parte integrante do programa de residência Sesc SP/Central Saint Martins. No trabalho a artista desenha no solo diversas cruzes utilizando materiais produzidos utilizando mão de obra escravizada, tais como açúcar, café, tabaco, similares a ouro e diamante. On November 29, 1781, Luke Collingwood, captain of the slave ship Zong, ordered that captive enslaved on his ship be thrown into the sea due to a possible shortage of drinking water for the current voyage. The work “November 29, 1781” seeks to recall and reflect the life and death of not only those enslaved on the voyage of the Zong ship bound for Jamaica, but throughout the process that meant slavery exploitation between the sixteenth and nineteenth centuries and which was the main motor of development of the European continent. 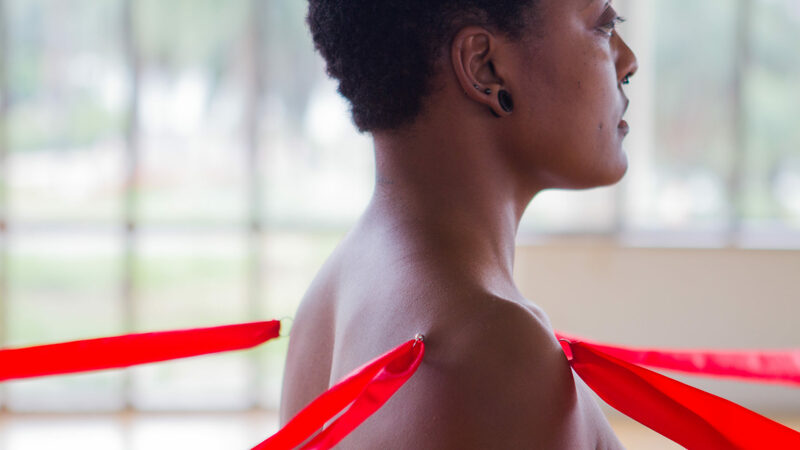 Performance resulting from a research conducted over a period of one month in the city of London as part of the SESC/Central Saint Martins residency program. 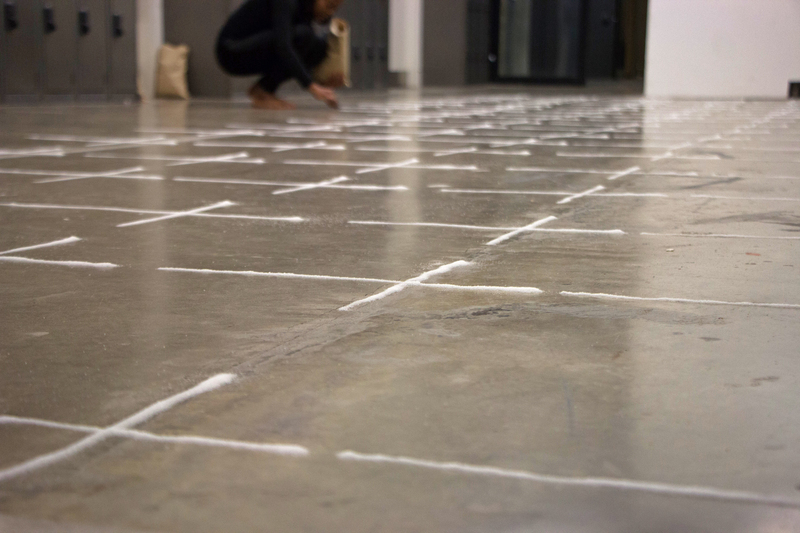 In the work the artist draws on the ground several crosses using materials produced using enslaved labor, such as sugar, coffee, tobacco, similar to gold and diamond.